Let me dive right into it and say: I love my eyebrows! ...I'm even asking myself why I didn't get Microblading done ages ago as I was so unhappy with the way they looked. When I was a teenager I messed them up by plugging them way to much and they never grew properly back.🙄 As I grew older I cared so much about them and I guess I reached a point now, where I just didn't want to worry about them anymore. I have to admit, I've seen loads of bad Microblading results out here and I was scared that I will end up looking the same, but I guess you just have to inform yourself very well about the salon you're going to and go for a consultation and look at their clients results. I was very lucky and had the opportunity to get my eyebrows done at Shumaila's Beauty and they couldn't have done it any better, to be honest. When I arrived I was welcomed by the owner Hafsa, who was lovely and greeted me by my name. It's the little things that are important to me and I really rate it high when someone is prepared for their next customer. I was a little nervous when my beautician Margaret introduced herself and offered me something to drink. 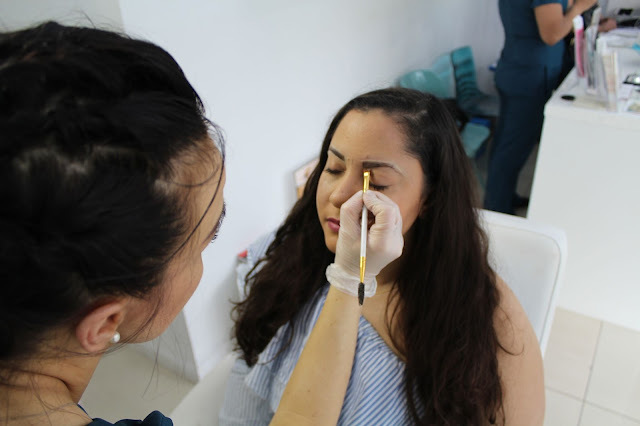 She explained everything in detail how the Microblading treatment will be done and and made me feel very comfortable and in good hands. She's super lovely and professional and she even speaks German, too, which made me feel like home a little. 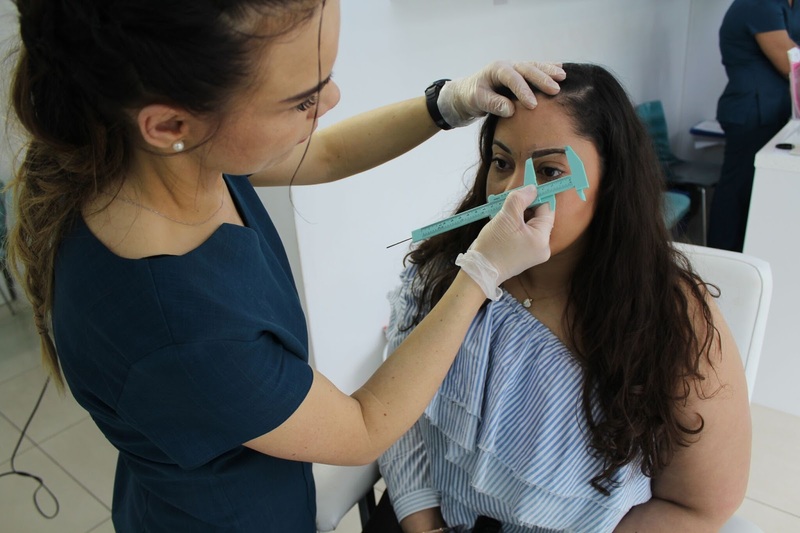 Before we started the treatment she drew the eyebrow shape on she thought is best for me after looking at my old pictures, where I drew them on with a pencil, looking at my preferred shape, colour and after doing some measurements to be really precise. It took us like an hour until we achieved the perfect shape because Margaret and I wanted to be 100% satisfied. She put some anaesthesia on my eyebrows so I won't feel any pain during the treatment and indeed I didn't feel anything. She picked the perfect colour for me and I'm really amazed how professional everything was done. During the treatment we spoke a lot and I didn't feel uncomfortable at all. I pictured all this way worse than it actually was, haha. After the treatment I looked into the mirror and even though it was just done and not healed at all, I was already super happy with the result. Can you imagine the feeling when you don't have to be careful anymore that your eyebrow pencil might come off?😂 AMAZING! I love the shape and how natural it looks! Oh yeah, the results will look much darker than it will come out in the end, so don't panic if you think it's too dark. I documented my eyebrow healing process some days after the treatment to make people aware of how their eyebrows will change. On day 1 and 2 there was no difference from the day I've got it done, just that my skin around wasn't irritated anymore and the redness was becoming less. On day 4 and 5 my eyebrows really started to heal and skin and colour were coming off, basically just like a normal healing process. So don't think it's not normal and start to panic and have a little patience until it's fully healed. Margaret gave me some creme to put on, which I've been doing every night before going to bed or whenever my eyebrows felt dry to help the healing process and they actually healed quite quickly. On day 7 most of my skin had come off and colour has faded, which is now the perfect colour matching my hair. You'll probably see a lot more selfies of me now, lol. I'll be going for a touch up after two weeks of the treatment to fill in gaps but afterwards it can last up to 18 months depending on your skin type. After the touch up I will show on my Instagram stories how they'll look when the gaps are filled in. Can't wait! I'm already enjoying my eyebrows so much! They're just perfect! 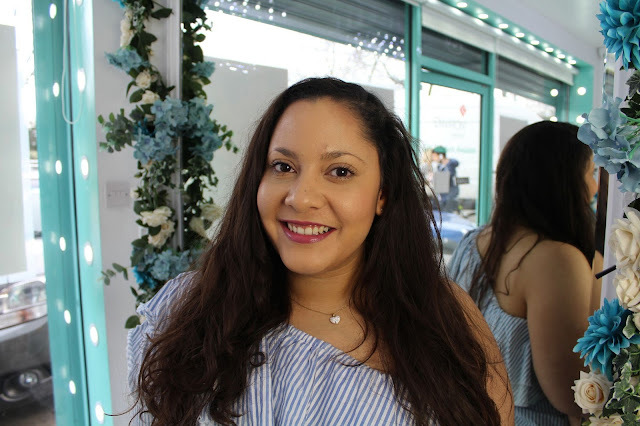 If you're thinking of having a consultation or just want to go for it, visit Shumaila's Beauty website or call for an appointment on 0208 504 6723. This post was written in collaboration with Shumaila's Beauty. 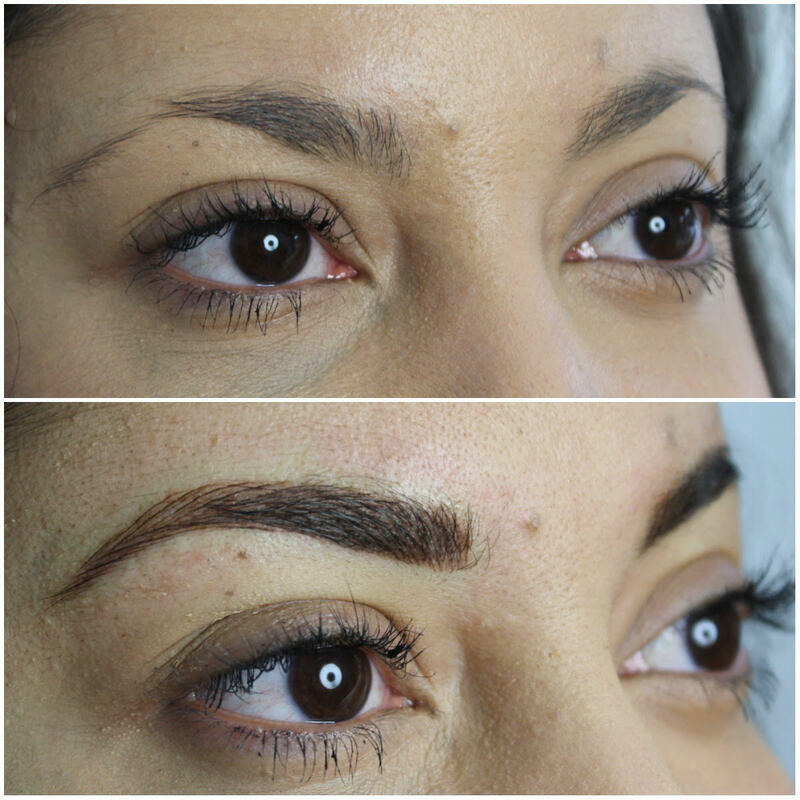 Flawless Beauty Scottsdale microblading method is truly ideal for anyone wanting to enhance the look and shape of their eyebrows. © Brasilnality. All rights reserved.